Meditation might have traditionally been associated with hippy retreats but it is now coming to a classroom near you. Yes, meditation is being introduced in schools to help students cope with the increasing pressures and stresses and modern life. But is this all just another passing fad or can meditation in schools provide real benefits? Despite its associations with various religions such as Hinduism and Buddhism, the basic concepts of meditation actually pre-dates these disciplines – it as been in place as an ancient tradition for thousands of years. Nowadays, meditation has been embraced by people from all walks of life and all religious backgrounds to become an established secular discipline. Furthermore, a growing body of research is showing that meditation can be very helpful in addressing many of the anxiety and stress problems – and even deeper mental health problems - that come with modern life. So much so, in fact, that the National Institute for Health and Clinical Excellence has recommended that it be offered on the NHS to patients suffering from depression. It is hardly surprising, then, that with so many supposed benefits, meditation is now being promoted by some as a beneficial addition to the school curriculum. In fact, it has already been trialled in some public schools across the UK, where students were enrolled in a meditation course designed in cooperation with psychologists from the universities of Oxford and Cambridge. The project – called “Mindfulness in Schools Project” - hopes to introduce meditation skills as a regular subject on the national curriculum. It is especially designed for adolescents and aims to teach them skills in concentration and how to combat anxiety, to that they do not fall prey to damaging mindsets (eg. regrets, emotional issues, worries about the past and future, etc) that can lead to mental health problems such as addiction, depression and eating disorders. This is done in a variety of ways, from focusing on breathing to focusing on specific movements. Most students in the trial have embraced the practice of meditation, saying that they hoped to use the mindfulness skills they learnt to combat anxieties in the future and put things in the perspective. They even found it useful for more practical things like falling asleep and helping with nerves before school competitions. In the United States where trials of meditation in schools have been conducted more extensively, several tough high schools have reported impressive results following the use of meditation techniques in their classrooms, with improvements both behaviourally and academically. With a recent national enquiry by the Children’s Society showing Britain as a nation of over-tested and pressurised children, it is clear that stress can interfere with a child’s memory, attention and organisation skills – so meditation as a skill that can help to manage and combat this stress must be a good thing. While the success of the project so far has been encouraging, the idea of introducing meditation in schools is still controversial and there are also many critics of the proposal. Some question whether it is appropriate for children whereas others question whether it is a skill that children can actually master, given that it involves extended periods of intense concentration. In fact, some scientists even argue that there is no conclusive evidence that meditation produces positive effects on children and that any data that exists is flawed. A member of the British Psychological Society advises caution saying that while meditation in general is undoubtedly a helpful tool, there is no empirical research to support specific benefits in children, particularly as this is a very difficult sample group to gain access to. Thus all claims are believed to be speculatory. There are also some who believe that meditation is an entire lifestyle package and that simply adding a few classes to the curriculum would be cosmetic. 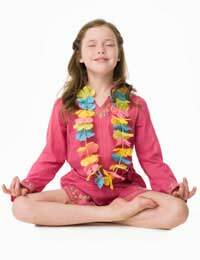 Nevertheless, despite the disbelievers, meditation in schools is an attractive concept. A member of the British Association for Counselling and Psychotherapy definitely believes that regular meditation could boost a child’s wellbeing. Since it is unlikely to do harm, surely anything that may help give children skills to deal with stress is worth a try?